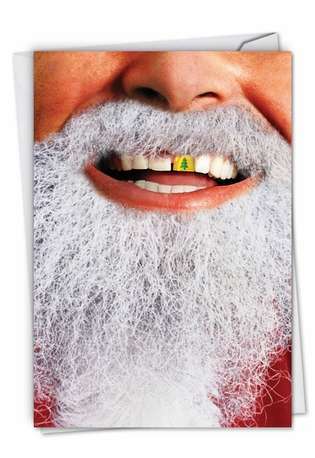 Cover Reads: Image Only: Smiling Santa With A Gold Tooth. Inside Reads: May The Holiday Season Smile Upon You. Do they have dentists in the North Pole? Or is this more of a fashion statement? Either way, Santa's smile will surely make the recipient smile, no matter how many gold teeth she or he has. 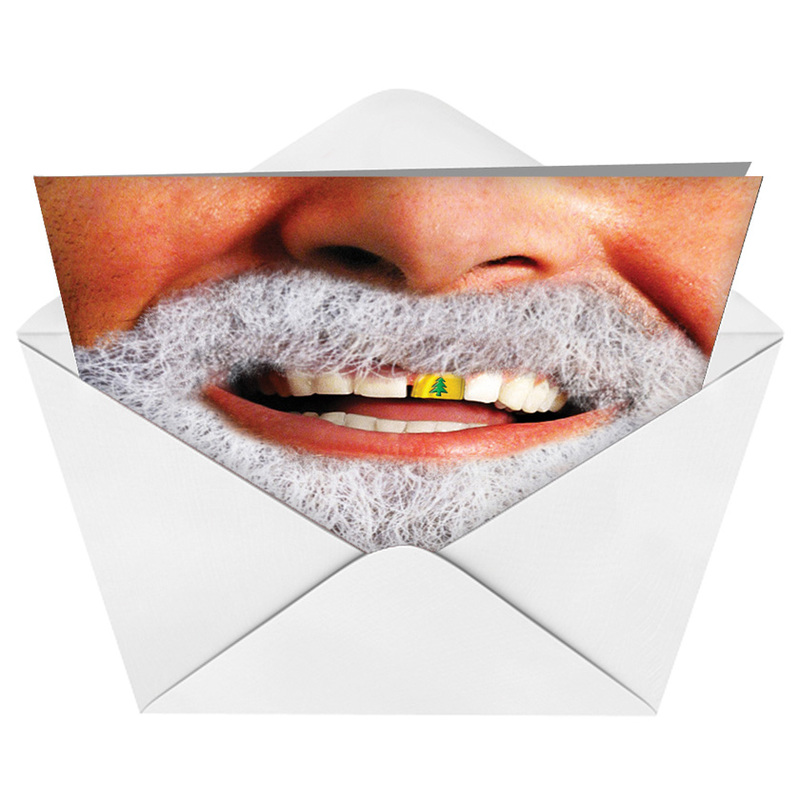 This Gold Tooth Santa Christmas Card is totally unique and unlike anything else they're likely to receive this Christmas, or any other for that matter.